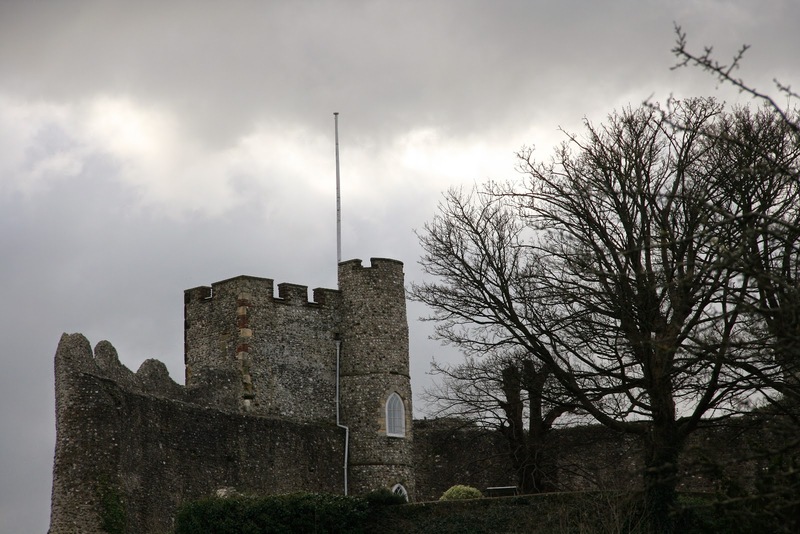 A grey Monday in Lewes, UK. 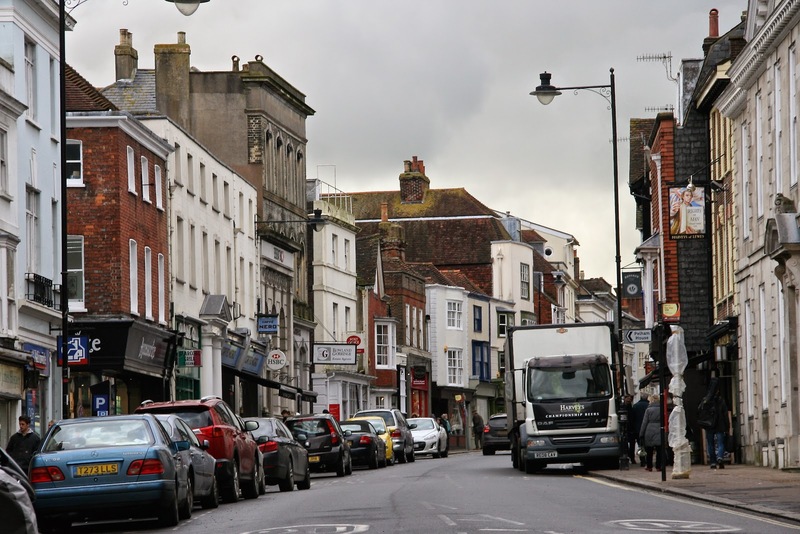 It’s a grey day today here in my home town of Lewes, UK. 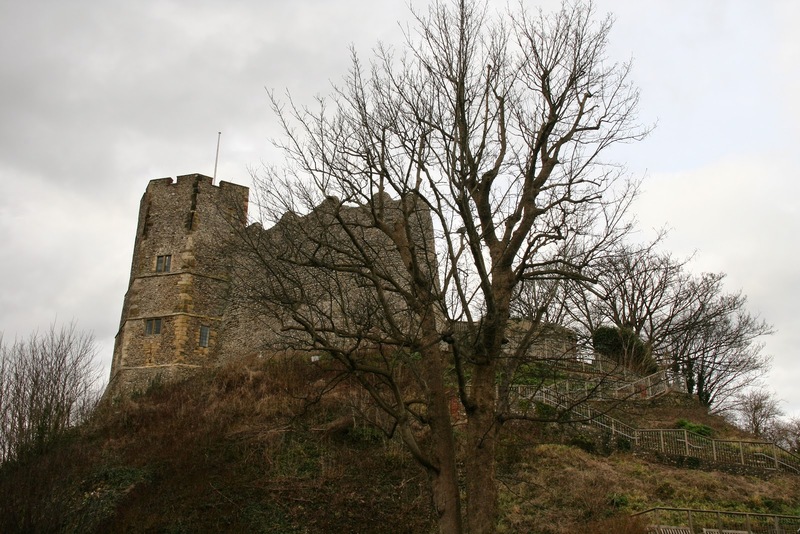 It might not have the radiant colours of the Mediterranean but I rather like all those muted tones. 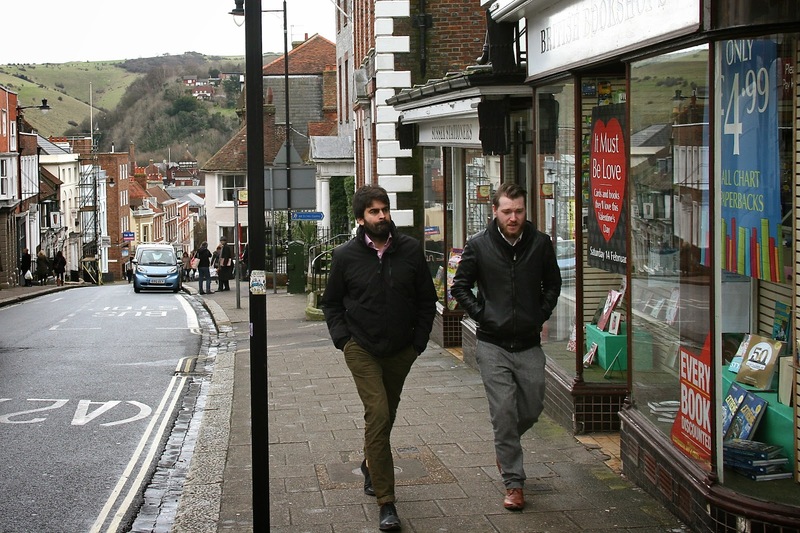 If you have to have a Northern European urban winter then Lewes has a lot going for it. 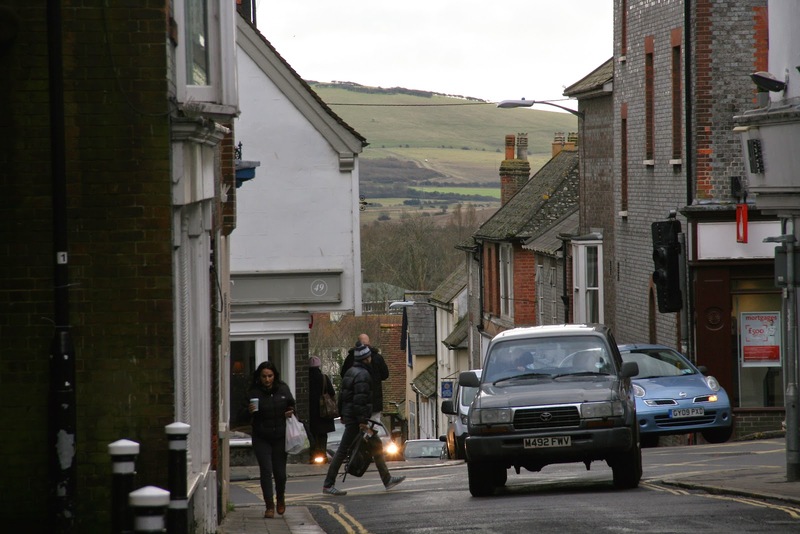 Being a market town set in Sussex’s South Downs, there always a dash of green to liven things up. 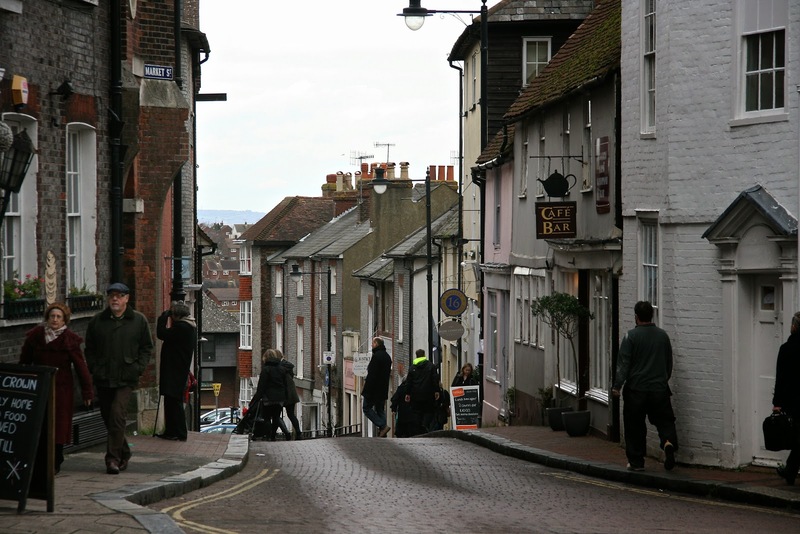 We have a lot of hills here in Lewes – at first it’s feels a bit hard-core walking up the High Street but you get used to it quickly and, in no time, Lewesians just take steep climbs in their stride. 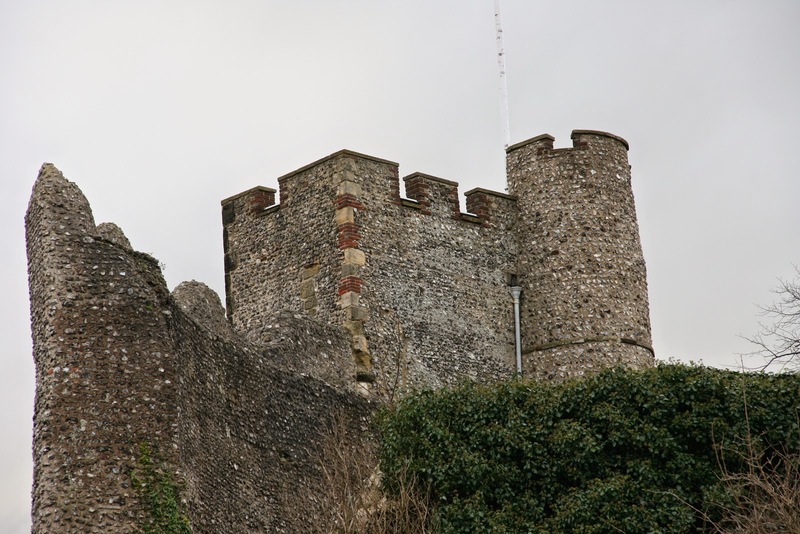 Lewes Castle (11th Century, Norman) sits on its very own hill, just round the corner from my home, and its flint stone walls add a lot of grey to our townscape. Somehow, the subtle shifts of colour work for me as I hurry past on a wintery morning. 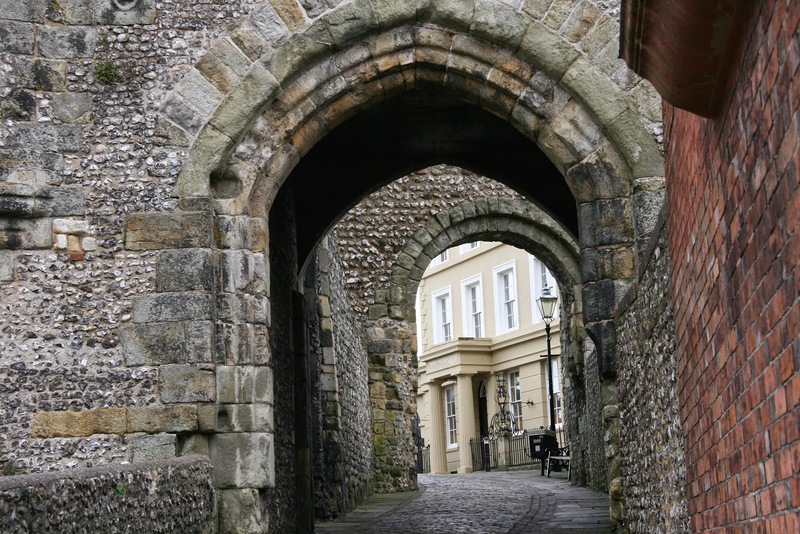 I’m very lucky that my walk home takes me under this splendid, and yes, grey, 12th Century archway. 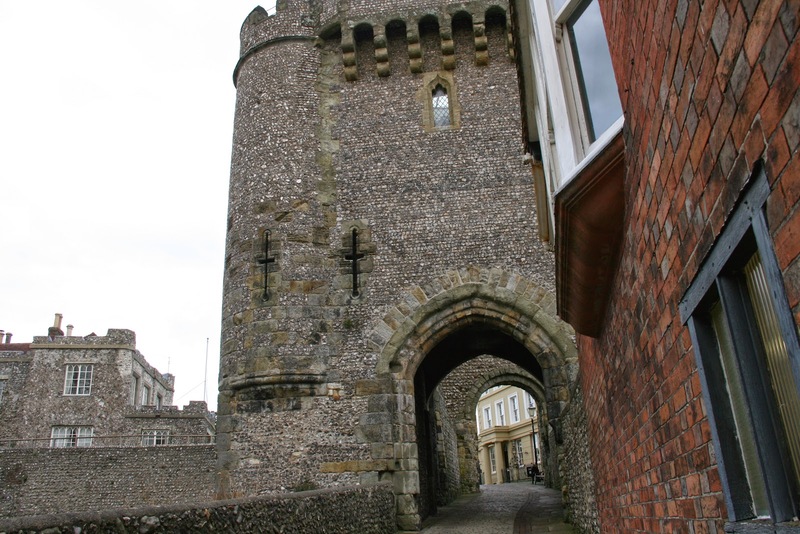 History is all around us here in this little grey town and, yes, this path is uphill too. Flintstones go well with rain clouds and leafless trees – it’s like living in my own monochrome photograph where there’s just a hint of brown to remind us that grey is a colour too. If you find all this grey getting you down, then let’s be grateful for the good old British telephone box and, of course, our red pillar boxes, too. 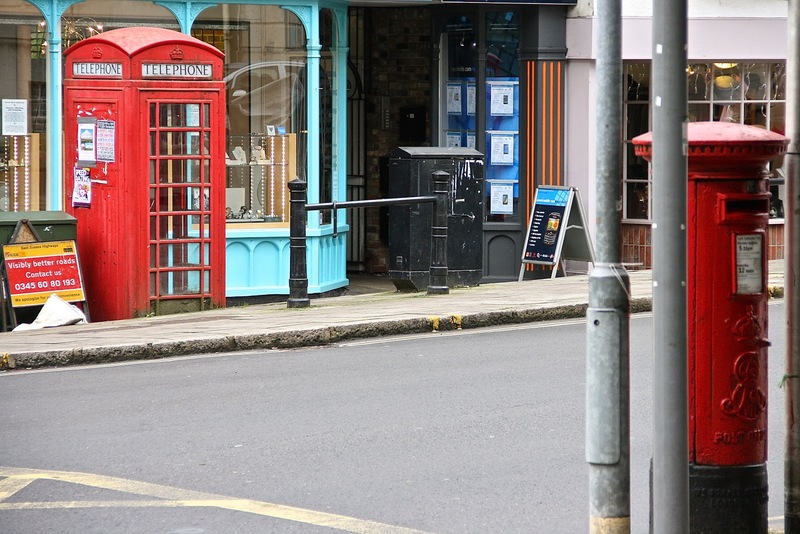 Now, red doesn’t get any redder than these most British examples of street furniture. 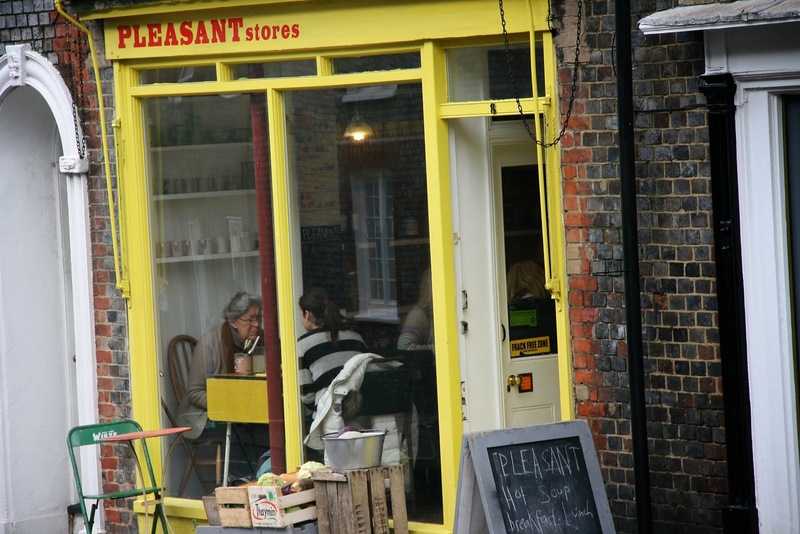 There’s red too in my street and, on a day like today, maybe there’s nothing better than going to the very pleasant Pleasant Stores for a cup of tea or coffee and a good chat with friends.